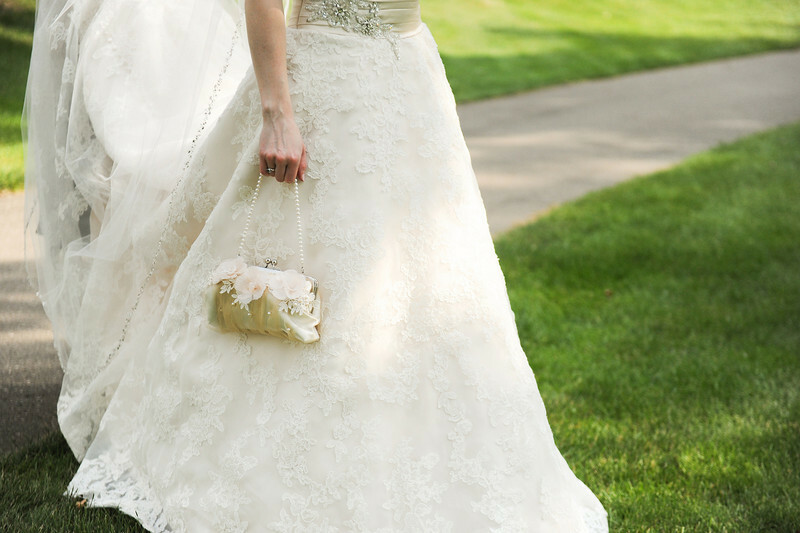 "I just wanted to tell you how much I loved the clutch I ordred from you for my wedding. It´s stunning! I got so many compliments for it. I used it again at my friends wedding with my LBD and can´t wait for a chance to use it again." Just perfect...so beautiful. Thank you so much! to be her "something borrowed" for her wedding!" "The clutch looked great on my wedding day! "Your purses were a big hit at my wedding." to know where I had got it. Thank you for stopping by. Ever since we opened shop on Etsy in 2009 with our first handmade feathery clutch bag, we’ve been blessed with truly wonderful customers who understand what it is like to support a small handmade business. This has been our drive to work with top quality materials to produce heirloom quality wedding accessories. Thank you so much for your support and your interest in ANGEE W. and we look forward to working with you on your next ANGEE W. item in the near future. "Thanks so much for the wonderful clutch. She loved it!" 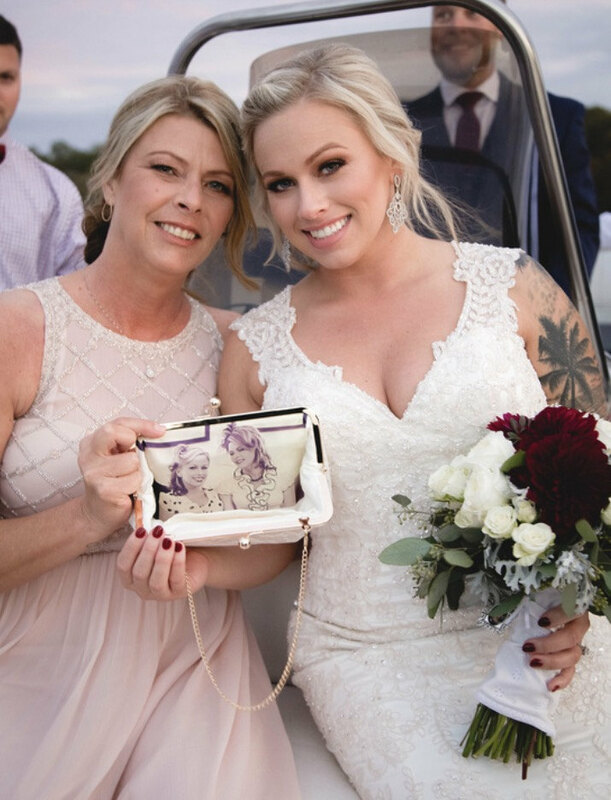 I ordered some of these clutch bags initially for my bridesmaids and loved them so much that I also purchased one for my grandma for the wedding. The quality and love that go into making these bags are very clear, they update you along the process and the shipping is very efficient. I would recommend these to anyone!! Thank you! The clutch looked beautiful. I ordered it for my mother to match her dress for my wedding day, including a picture of us inside. She absolutely loved it. On top of that, Id love to point out how wonderful and easy it was to work with AngeeW. Thank you so much ! This purse is my favourite wedding accessory (I may even love it more than the dress). It is made perfectly and having the image of me and my husband to be on the inside just makes it all the more special. It arrived on time and its was so beautifully packaged that I almost didnt want to open it. Thank you very much, your attention to detail is marvelous! Item was absolutely beautiful. The perfect gift for my future mother in law. Great seller to work with, fast, and very impressed with the fat shipping too!!! 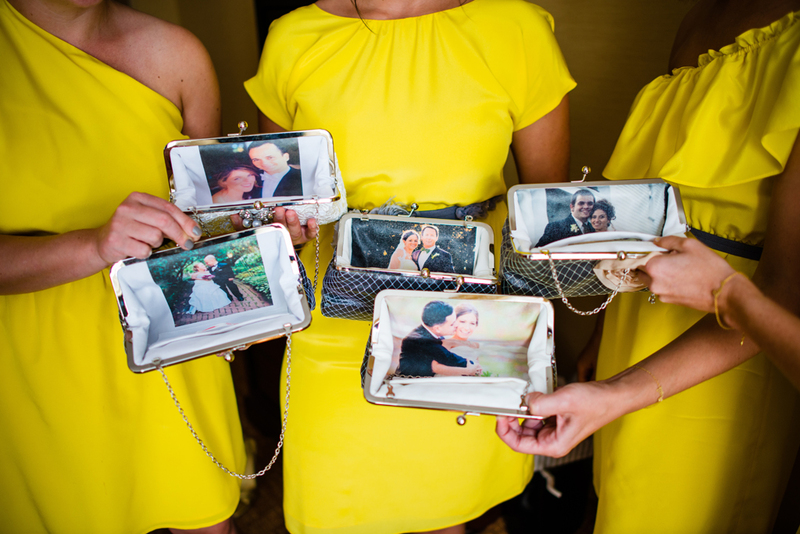 I purchased these clutches as bridesmaid gifts for the girls in my wedding. I did the photo lining with old photos of us as children, but the outside was very simple so that the clutch could be used again. I absolutely LOVED them. The personalization turned out beautiful. I can't wait to give it to my mother in law! AMAZING! !! I couldn't be happier with my bag. The clutch is top notch materials and the picture looks fabulous inside. I cant wait to use it on my wedding day! Angee does stunning work! I searched high and low for the perfect hand bag for my wedding day and I'm so glad I went with one of her designs. It was even better than I expected and turned out to match my dress perfectly. So beautiful, so gorgeous! They shipped it quick and it came with a nice storage bag, as well. 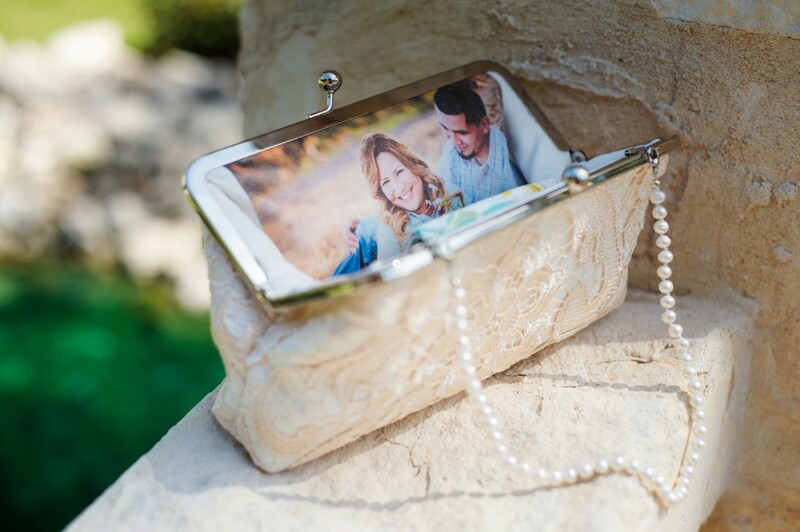 I absolutely adore my personalized ANGEE W. bridal clutch... . The ordering process was easy and Angee was so helpful and friendly. 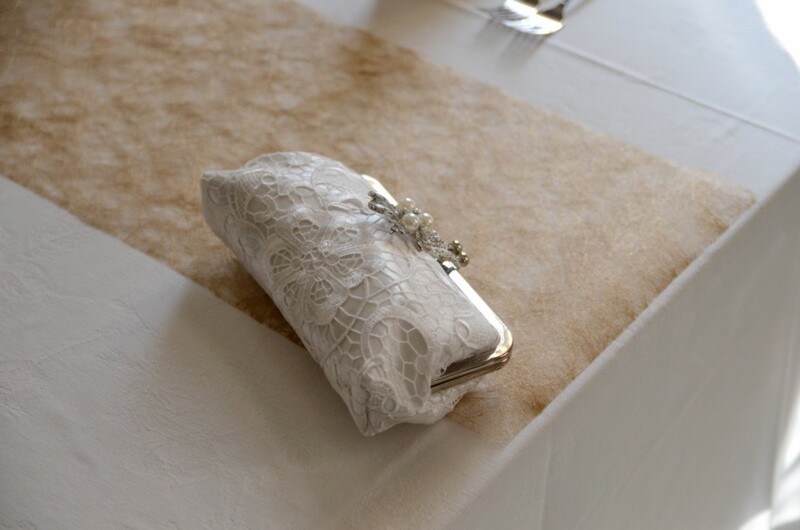 I highly recommend all future brides to purchase a bridal clutch from ANGEE W...trust me you won't be disappointed. The purse was gorgeous - I loved it - my little sister wants it to be her "something borrowed" for her wedding!